Customer service representatives are critical to the success of a distributor's business. That's why PSDA has created a custom program just for CSRs at the 2018 P2P Technology + Innovation Summit. The best part? PSDA covers the registration fee and two hotel nights. All you need to do is send your CSRs to Indianapolis, and we'll take care of the rest. Read on to see how Nick Sanders, customer service representative for The SOLV Group, gained key takeaways at last year's program that he was able to put to work. Interested in sending your CSR to P2P this year, on us? Contact Martha O'Hanlon. In a cut-throat world where everyone is competing on price, businesses are seeking strategies to differentiate their products, services and solutions. 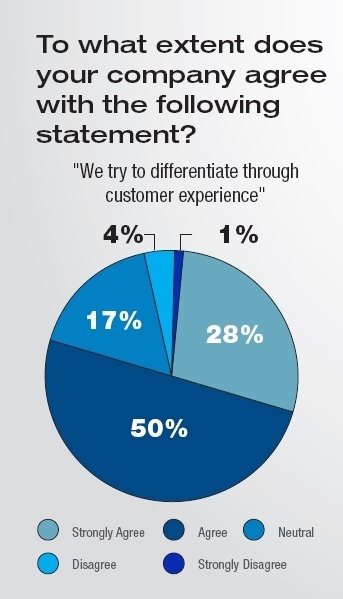 At the heart of nearly all differentiation strategies are techniques for enhancing the overall customer experience. By improving the customer experience, organizations hope to increase customer satisfaction and boost loyalty. This should help generate more customer advocates who can spread awareness and send their business referrals. It can also create points of differentiation that will help you fight off competitors and win new business.